There is no good reason for France to engage in a Cold War-style policy against Russia, National Front leader Marine Le Pen said in an exclusive interview with RT, adding that if elected French president, she would seek balanced relations both with Russia and the US. “I don’t see any good reason to engage in a Cold War in any form. Russia as well as the US is a great power. It’s very important for France to build up balanced relations with both of these countries. I think we could do that with Vladimir Putin and Donald Trump,” Le Pen told RT. The National Front leader noted the importance of restoring and strengthening trade and cultural ties between the two countries, as well as boosting cooperation in the energy industry and in the fight against terrorism. When touching upon the accusations of Russian meddling in the French election campaign, Le Pen said the claims were groundless. “I hear all the time [French President] Hollande talking about it, but I have never seen any proof to these accusations,” Le Pen said. “At the same time, I see that Hollande does not ask the US for explanations, although it turned out the CIA eavesdropped on some European leaders and the 2012 candidates for the [French] presidential elections,” she said. 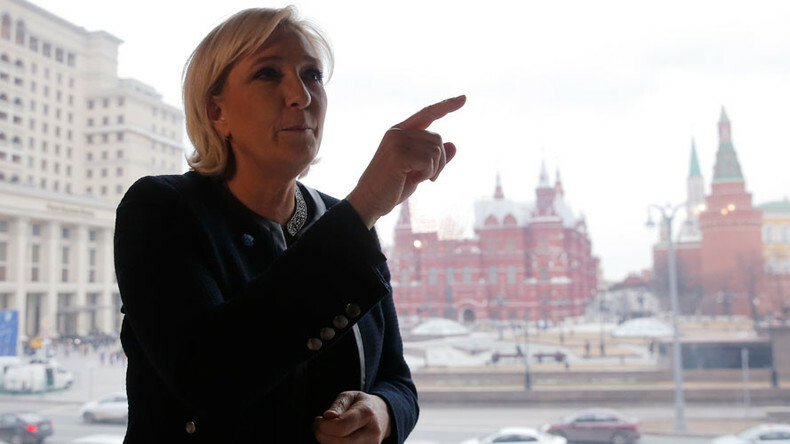 “I think we should stop this policy of double standards – this is what creates a sense of injustice not only for Russian people, but for many nations worldwide,” Le Pen concluded. French presidential candidate Le Pen and Russian President Vladimir Putin held a meeting in Moscow on Friday, focusing on the need for joint efforts in fighting terrorism.